One good thing about the Labor Day weekend? No, not the kiddies heading back to class. No, not cooler temperatures or less humidity. It's one weekend closer to hockey. Duh. While players trickle back in to town, the anticipation level is starting to reach a feverish pitch. And it's about time. Some questions need to be answered. Will Karl Alzner make the team? Will Jose Theodore lead the team to the promised land? Will Alex Ovechkin's love life be a distraction? Will there be a third jersey? You know the important stuff. The defensive core will be the interesting battle for spots come training camp. Brian Potheir sounds as if he is out indefinitely and it sounds if Bruce Boudreau will rotate a 7 man defensive rotation. Talent is starting to load up and it will be an important camp for Sami Lepisto, Karl Alzner and Tyler Sloan. The favorite with media types and bloggers alike will be Karl Alzner, but there is a fourth D-man invited to try out in Jakub Cutta. It should be a battle. For forwards, while I would like to see Chris Bourque to once again be the dark horse there is obviously something that keeps him from making the team. Mostly the talent back up at his position. Graham Mink, Keith Aucoin and Quintin Laing are all going to be battling for spots and I have a feeling Laing's performance from last year won't be enough to keep him in a Capitals' sweater. Although he is quickly becoming a fan favorite with his block shot superpower. The bar now for the Capitals is set even higher. Especially now that it looks as if the Southeast Division is tired of being in the lower half of the league. That makes this training camp important, if not very entertaining. Scott Cullen on TSN.ca has been running the most trade valued players in the league. While they put it in terms of trade value, the assertion could be made that these are the most valuable players in the NHL to date. And wouldn't you know it, three Capitals make the top 20. The factors taken in to consideration are the players age, contract, and overall performance. After a 69-point rookie season, the skilled Swedish playmaker sure looks like he could have 100-point potential in the not-too-distant future. Turned in a spectacular 2007-2008 season, emerging as possibly the most electrifying young offensive defenceman in the game. 163 goals and 310 points in three seasons, combined with a contract that will keep him in D.C. through 2021, makes Ovechkin the premier asset in the game today. 50 - 26 are all here on an earlier column. The Capitals had the luxury (and the unfortunate circumstance) of having a number one goaltender going on close to a decade. It was always Olaf Kolzig's net. Except for the occasional injury or a day or two of rest (especially later in his career), Caps fans could depend Kolzig would be in net no matter the foe. Now that has changed. Since the trade for Cristobal Huet last season, that net has belong to someone other than a jersey with the number 37 on the back. It was Huet that helped the Capitals to a playoff berth since a 5 year drought, not Kolzig. While many teams through out the league don't really see this as a big deal, but for a team to always have that kind of goaltender stability is rare. Just ask New Jersey, whose fans may wither and die the day they trade or let go of Martin Brodeur (except for the fact that Brodeur has won several champoinships). But now the Capitals have a rare competition for number one. While Jose Theodore may have the upper hand due to his play of late and his history, don't count out Brent Johnson who seems ready to stand on his own two feet between the pipes. This could be a true two goaltender rotation if Brude Boudreau wishes it. It's obvious too that Boudreau will always go with the hot hand, no matter of contract status. Both goaltenders have something to prove as well. Johnson is in his last year of his contract, it would be smart to make an effort to earn the number one spot after spending a couple of years as full time back up. Theodore will want to impress and prove he is back in tip top shape. It should bring the competition to a healthy level for the Caps who want to taste the post season in April again. Don't forget that the Caps have a couple of good prospects starting to fill the development pipeline as well. Simeon Varlamov has to potential to compete for work in next couple of years. And goaltenders Daren Machensey and Micheal Neuvirth are not far behind. That depth will keep goalies sharp for the upcoming season. And it will give the Caps a chance to see some different looks to the team through out the year. Someone other than Godzilla. Congratulations to Micheal Phelps for getting 8 out of 8 (overachiever) at the Beijing Olympic Games. The most decorated Olympian of all time. It makes me wonder what I have accomplished in the past week. Lots of naps. Speaking of the Olympics here is a funny link I thought I would pass along. Not much going on in terms of Caps news. There have been a few sightings of some Capitals getting their off season workouts done at Kettler, Boyd Gordon is one of them. He has the most to lose come training camp. With Micheal Nylander, Nick Backstrom and Sergei Fedorov all taking the center, Gordon will be fighting along with David Steckel for a just a spot on the roster. It's getting awfully crowded. If you needed confirmation that the Caps are a hot ticket, the Washington Post's story today is all about the ticket sales. It turns out getting a Caps seat to a game is going to be harder than previous years. Even with prices going up 10% (to cover cost for gas, I guess), the Caps have been able to sign up 3800 new season ticket holders. Not too shabby. It just validates that this team seems to heading in the right direction. And whether you believe the rumors or not, the Caps' roster seems to be lining up to be an Eastern Conference power house. But we already knew that. Looks like the lines for beer and hot dogs are just getting longer. Also in other Caps' news, looks like the national viewership will be able to take in some Caps' games several times this season. Versus will pick up 7 games and the NBC broadcast will have their choice of 4 dates to choose from. Not to mention the 6 times the Caps will appear on Canadian national television. Just about everyone wants to see the Capitals at some point next season. When I bought my HD television almost a year ago, I did it mostly because a lot of people told me that watching the Caps game would be almost like being there. I have to say I have been very impressed and happy with my splurging to get an HDTV. Which makes watching the Olympics in HD even that more enjoyable to watch. In these Olympic games every event this year broadcasting in 1080i (TV lingo which I have picked up). The picture is amazing and makes the sporting events so much fun to watch. That is until the local broadcasts starts. NBC Channel 4 (WRC) goes back to it's standard screen and while the digital picture is good, it just isn't the same. Normally I wouldn't be bothered by it much, until we had those storms come through the area on Saturday and the local broadcast had to send out the severe weather statement that scrolled at the top of the screen during the action. The broadcast jumped in time when they squeezed the full 16x9 HD picture down to the standart 4x3, ran the storm warning, then jumped back in to the HD delay missing about a second or two in the action back to the 16X9 format. Now if you were on a normal screen (4x3), you wouldn't have noticed this. But on my HD television, I was a little peeved about it. Why hasn't Ch. 4 gone to high def yet? Channel 9, the CBS affiliate has made the jump to HD and their broadcasts are pretty cool to watch. But this jumping back and forth from standard to HD gets a little tiring (especially when they forget to put it back in HD and we are stuck with a standard format picture). It's a little thing I know, but with HD being king I am a bit surprised how slowly network affiliates are slow to convert. While I do enjoy the NBC's broadcasts of the Olympic games in HD, I tend to tune out the shows like the Olympic Zone which is done locally by WRC because it's not in HD. It would look so much better otherwise. I would think that with the Olympics upon us, it would have been a great opportunity for Channel 4 to step out of its standard and join the rest of us in 1080i. Today would be the day 20 years ago that Wayne Gretzky was traded from the Edmonton Oilers to the Los Angeles Kings. On August 9, 1988 the blockbuster deal is hockey's equivalent to Babe Ruth's trade from the Boston Red Sox to the New York Yankees (there was a curse involved and I am not about to draw direct paralells as baseball purists will rip me apart). If you want several outlets are using this lull in hockey news to dwell on a trade that pretty much gave any GM for any team to use the phrase, "If they can trade Gretzky..." for any situation when moving talent. Let's just hope George McPhee doesn't say it any time soon about a certian player locked up for several years. The trade also made Gretzky an American icon instead of just a Canadian one. Are You Excited For The Olympics? It only happens every 4 years, how could you not? 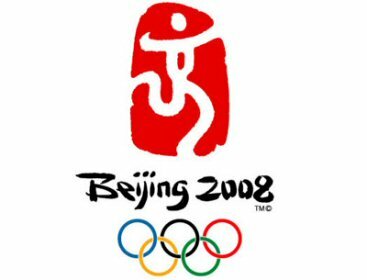 I was in the process of dumping every program out of my Tivo to catch all the Olympic goodness that will be spewing across my screen over the next couple of weeks as the XXIX games of the Olympiad will be held in Beijing China. I know that many of my fellow countrymen (and women) will be more interested in the medal count. Which is fine for the United States, Russia, China and other big countries (albeit a bit shallow). But the real excitement for me will be the story lines behind the action and the drama of a good competition. Like in 1992, when Derek Redmond pulled a muscle but he and his dad finished the race. Who didn't shed a tear for that? Or Kerri Strug's improbable stuck landing on a bum ankle, Olympic magic. Those are the kinds of events that move me to tune in every 4 years and geeking out about gymnastics, track and field and even fencing. It doesn't have to result in a gold medal, but it does show how big a heart an athlete has to compete and overcome whatever challenges face them. USA Hockey is holding their under 20 evaluation camp over the next week or so. So far it seems a pretty good start. Playing in Lake Placid NY, the two squads (blue and white) split their games with Finland and Sweden on Tuesday. Blue squad beat Finland 4-1 in the first game and the white squad lost to Sweden 2-3 in the second game. Ryan Bourque (whose brother Chris, as you know, is playing in Hershey) scored a couple of goals and impressed in the first games. Both of his goals in the win against Finland on Tuesday were on the powerplay. At 5'7" and 170 lbs., he is not much bigger than his brother, but he did play in all 7 games at the Junior World Championship in Russia and netted an impressive 2 goals and 5 points. If you want to find out more about USA Hockey and camp, check out their 2008 U.S. NJEC Blog. Comcast is my favorite company in the whole world (sarcasm alert). I have been with out internet/tv/lifeblood of information for the past 48 hours or so. Which means I missed the news that the Capitals have signed David Steckel to a year extension. Steckel's signing makes a lot of sense, he has been solid addition to the line up and seems on the verge of a break out year. He was good to go for this season, so esentially this is a 2 year deal that will keep him a Capital until the '09-'10 season. But looking at the roster and keeping an eye on the salary cap, the Capitals are going to be pretty tight to start this season. It should be interesting to see how all this plays out. What is more frustrating than not getting news in the slowest stretch of the off season is not hearing from your friendly bloggers. The NHL is celebrating the 20th year anniversary of the Wayne Gretzky trade from Edmonton to Los Angeles. Apparently this trade changed the landscape of hockey forever. But mostly it added the vernacular "If they can trade Gretzky..." to GM's cliche bag. An easy way to explain off big player trades for sure. From what I can remember about this trade was the big press conference in LA when Gretzky stepped down some stairs and waived at the masses of Kings' fans. It was also the start of the black and silver look that just about every one adored at the time. Hey, even I had a Kings t-shirt for awhile after that. Of course I was still in jr. high. My, how time flies. I don't think that Mats Sundin will ever come to a decision on what he wants to do. His August 1st deadline came and went and I think more people are more confused now then ever before. Does he want to stay in Toronto? Will he sign up with the Canadiens? Are the Canucks a viable option? If a guy states an opinion in the middle of the woods with no women around, is he still wrong? Chris Clark may look to be back in the saddle by September. Tarik caught up with the injured Capital forward in the post today. Sounds like he is progressing nicely. Finally, from of the files of "Do we really care? No, probably not"... Rick DiPietro is now free of his knee brace which is good news for Islander fans. Want to beat the heat? Go ice skating at your local rink! It's gonna be fun! Happy summer break! I am taking a little break unless some thing inspires me to write more. I will leave you with a little video I watched that totally astonished me. I will see you when I see you, enjoy the hot humid summer.